Ian ‘Sketch’ Arunga is a writer, illustrator, graphics designer, blogger, recently established business man and self-professed ‘cool guy’. 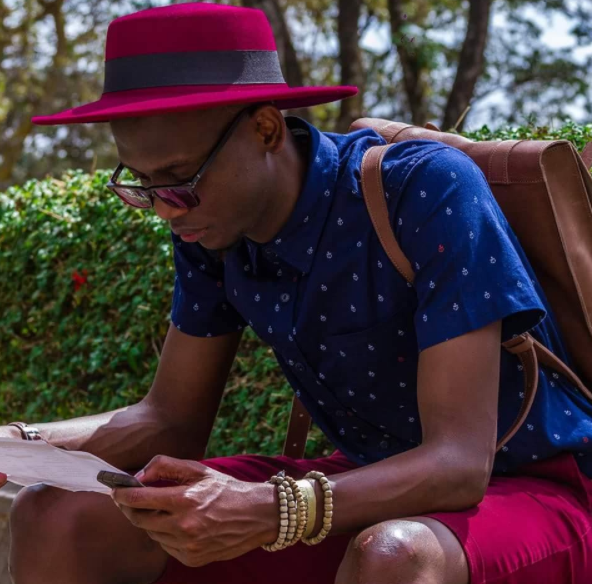 His blog Dear Doris, that consists of hilarious letters from him to his plus size love, was nominated for the Kenyan Blog Awards 2014 and 2015. 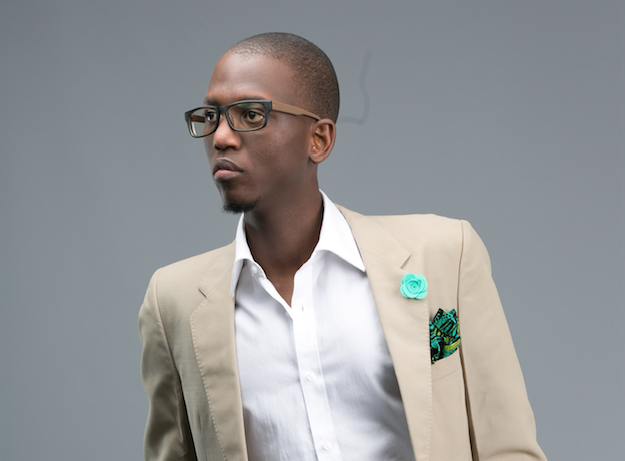 He has written and illustrated three children’s books and co-founded Dapper Monkey, a Kenyan men’s apparel brand. I had the chance to sit down and have a chat (and a laugh) with him. How would you define yourself professionally? I do so many things. (Laughs) For my 9-5, I am an art director at an advertising firm called Foote, Cone and Belding, East Africa. That’s my salaried job, the reason I wake up in the morning. 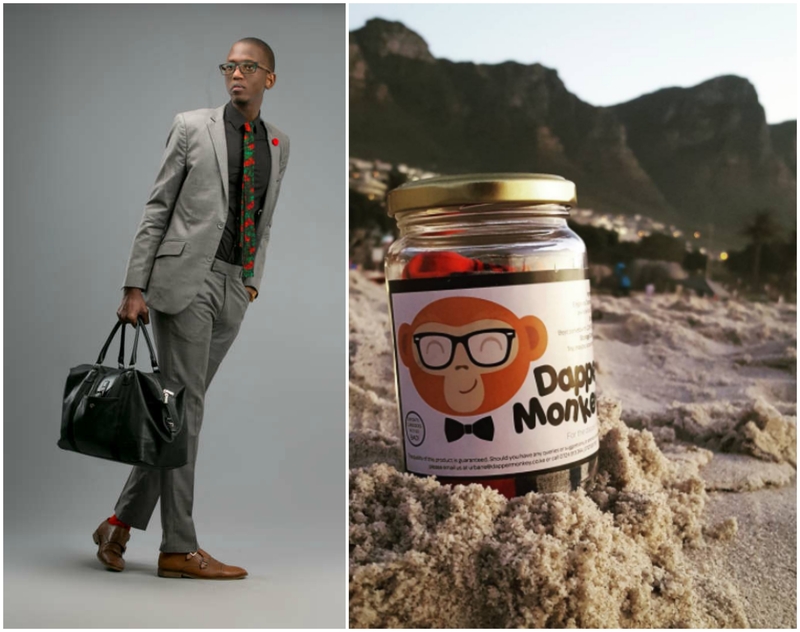 Apart from that, I founded and run Dapper Monkey, which is a men’s apparel store. I am a blogger at DearDoris.com. I am a children’s book author. I am also just a cool guy, which is a full-time job and not the easiest. (Laughs). I love your blog, Dear Doris. It’s hilarious! When did you start it? What was your inspiration? How did the blog start? The entire blog started by mistake! So, before blogging was a big deal, we had this thing called Typepad (Similar to today’s WordPress and Blogger). It was a small platform that you could blog on but I didn’t know it was called blogging. I got on it because I used to keep diaries and write a lot and people kept telling me there’s this platform you could write on on the internet, it has a username and password, everything is safe! So I used to write all my personal things! As in ‘dear diary’ style. Until, someone from Google called and said, ‘Is this Ian Arunga?’ I say yes. ‘Are you the one that authors Diary of a Sketch?’ I say yes, why? ‘We’ve noticed your blog is getting a lot of hits in your region and we were wondering if you would like to advertise on it.’ I say ahem, which blog?! In my head, because there was a password and a username, I was the only one who had access! I had no idea the world was reading it. And it was getting about 2,000 hits a day! At that time that was a lot, and to think that all these people were reading about my private life every day? I deleted it immediately! But then, it hit me that people really like reading about other people’s personal lives. Imagine you stumbled upon your small sister’s diary in the house, you’d be thinking ‘what is inside there?’. So that’s how I started Dear Doris. Basically, they are letters to this big girl – because you know me with big girls (laughs) – about my life. 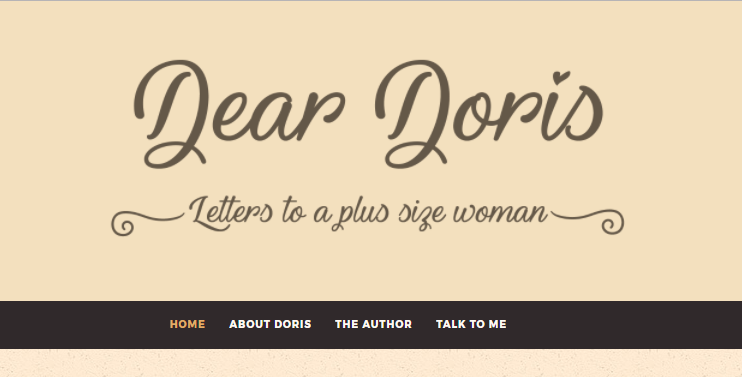 From the way you write, Dear Doris is a casual blog. Very chill. So how often do you post? Like I said, Dear Doris thrives on me not giving a sh*t. A lot of bloggers tend to be ritualistic. Like ‘Every Tuesday 4:00am a post must go up.’ I don’t do that. What I do is when I have a story, I write it. When I started Dear Doris I would write twice a week, which was a lot. It dropped to once a week, then twice a month. Now I write whenever I have a story. Now if you check my last ten posts, they span over about two weeks. Even looking at how I write, I don’t go through my work. I write it and publish right after. I’ve never read any of my posts over again and there’s about 260 posts. Yes! I’ve noticed that. At some point it seems intentional actually. Like some sort of writing style? Yes! It is sometimes. Because all your life you are taught your grammar needs to be spot on and all this, but in essence you’re more comfortable just doing your first draft. That’s your most comfortable. Your truest voice. Sometimes I even go back and add deliberate mistakes. I add something and go ‘yes, this will annoy someone’. And I actually get a lot of hate mail! (Laughs) Some people beg me to stop writing if I won’t correct my grammar. Backtracking a little bit, you’re doing so many different things. What did you major in at university? I did business actually, at the Kenya Institute of Management. I joined StoryMoja immediately after that as an illustrator, illustrating kids’ books. A little after I joined, my immediate boss, who was the only graphics designer at that time, had to leave and the next day I was told, I was the new graphics designer. And I remember for the next four days, I spent nights at the office just learning the very basics of graphic design. What is photoshop, what is illustrator, all these things. And that’s how I got into design. How long has Dapper Monkey been in existence? Since September 2016. September 12th 2017 was our first anniversary. The business aspect of your career must come in especially handy with Dapper Monkey. Oh it does. Absolutely. Because for Dapper Monkey, I do almost everything. I do the accounting sometimes, the web design, I’m my own model, I used to do the photography until it hit me that I needed to work with an expert. So is it just you at the offices? Or do you have a team? I have a team actually. At Dapper Monkey it’s myself and my partner, Cheryl, we run the company together. Then under that there is the logistics guy who makes sure all the orders come in, and they are properly packaged. There’s a team of delivery guys, about four, and there’s an accountant. What was the inspiration? Have you always been into fashion? My mother was a fashion designer and a tailor so she used to design our clothes. Growing up, all the kids in our estate used to have the new ‘Hakuna Matata’ t-shirts and new shorts with belts and all. We didn’t have that. My mother made us everything we wore. Even our sports shorts. You know how you go to school and everyone has stripes on their shorts? Cue us with our ankara. Aki, all my school pictures, I’m in Ankara or cheetah print. So that influenced a lot of that aspect of me, because I was surrounded by fashion as I grew up. My sister as well – she was a fashion blogger when she was in the states. She had a blog that focused on looking for cool clothes for cheap. It got to a point where a lot of people were asking me, where did you get your shirt? Your shoes? Your bag? And I thought, if I could sell a shirt for every time I was asked where I got mine, or a pair of shoes or a hat, I would actually make a lot of money! That’s what birthed the idea. So it started with me buying a few of whatever I liked, so that if anyone asked me I could hook them up right away. Dapper Monkey actually consists of everything I can wear. In fact I think I own a piece of everything I sell, which is a terrible way of doing business because I keep picking things from the stock (laughs) but I buy what I like because I feel that’s what people like about it. Where do you get your supply from? We’ve started doing a lot here in Kenya. So we make all our leather products here; our belts, our bags, our wallets. Our Ankara products are also made here: ties and bow ties. Things like socks which we can’t get done here – which is so sad – we get from our partners in England. And our wooden sunglasses are designed here but made in Korea. And the cases are made in Japan. So everywhere really. Dapper Monkey has been in existence for a year. How’s it doing as a brand? It humbles my heart that it’s gotten to a place where people don’t just come to buy stuff, but come to ask me to style them. Like last night, I met this guy at the club who I dressed for his wedding and because we have a lot of orders and a lot of weddings I didn’t remember him at first. Then he showed me pictures and everything and it started to come back. We actually spoke for a really long time before he decided what he wanted to wear. And just being part of that process, for someone to trust you with such a big part of their big day is pretty humbling. I’d prefer it by far to be paid to actually tell you what to wear, than to sell it. Would you think about actually leaving your job and sticking to just Dapper Monkey and your writing? I’ve thought about it a lot actually. Then I think about salary and how much I need it. Because the company is still quite young, a lot of my income actually goes into it. In order to sell, you need to stock and the thing with fashion is, it’s not like mugs for example, that you can buy 50,000 of the exact same product and just keep selling. With clothes, you have to stock different sizes, colours, types. For one product, by the time you have a complete set, it is so expensive. One shirt will need to come in small, medium, large, extra large. Then in black, grey and red. Man! You need the money. Would you ever think about linking the blog and brand (Dapper Monkey) somehow? This has crossed my mind before, but they are so different, that linking them, I feel, wouldn’t make sense. Because when I write to Doris, I write as this desperate guy who is so sad, like ‘I’ve not seen you for such a long time, why are you doing this to me, I love you so much, please come back.’ But Dapper monkey is this confident guy; looks good and has done well for himself. It’s two totally different people, so for them to mix, one of them would have to lose a bit of who they are and what they stand for. There’s a Dapper Monkey ad on the Dear Doris blog actually, and as a poster you can just see, it’s not supposed to be there. Because there’s this guy who’s suave and confident, amongst all these letters from this guy just weeping. Thank you so much your time Ian! We wish you all the best in future endeavours. #MoreThanABlog is a series we are running, highlighting all the incredible people in our blogging community that are going the extra mile and doing more than blogging. ‘The extra mile’ could be in direct line with their blog and that content or within a completly different sector. We are just looking to celebrate all the bloggers doing more and inspire evry writer out there to find ways in which they can do more than blog. If you think you fit the bill or know anyone that would, get in touch at esther@somanystories.ug.